For a convenient way to mobilize an entire Euclid® unit, we offer a complete system package that combines our computer system and unit dose packaging machine to easily relocate your packaging equipment within your pharmacy. The complete system package includes a workstation cart, heavy-duty monitor arm, keyboard shelf and 17-inch monitor computer system that’s pre-installed with Euclid® Vantage™ Software customized to your specifications. 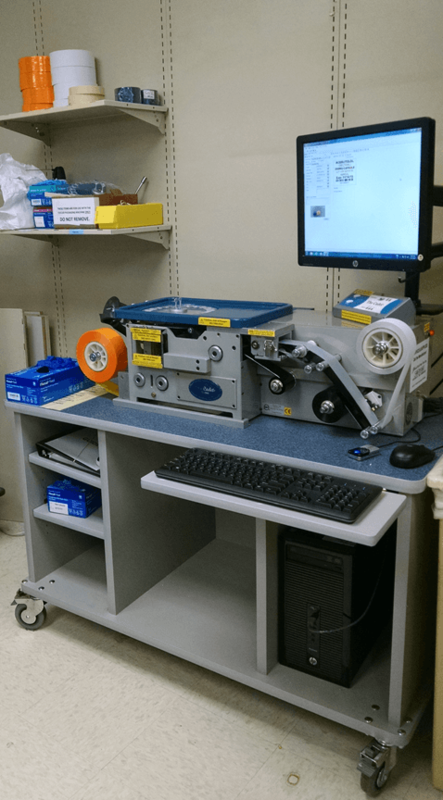 With a custom-designed workstation cart featuring a made in USA surface with heavy-duty locking casters, built-in power strip and storage space, users can easily keep the packaging process organized and transferable to any location within the pharmacy.